Only one would survive to return to his crab hole after the showdown on the beach. Really like in "High Noon"
Thanks Catalex. It's a lot of fun getting to capture something a little different. Very nice shot, JJ. Perfect exposure and right angle. Last edited by Raghu; May 17, 2012 at 3:26 AM. Thanks Raghu. That is a cool shot, enjoyed. Good title. And shot. 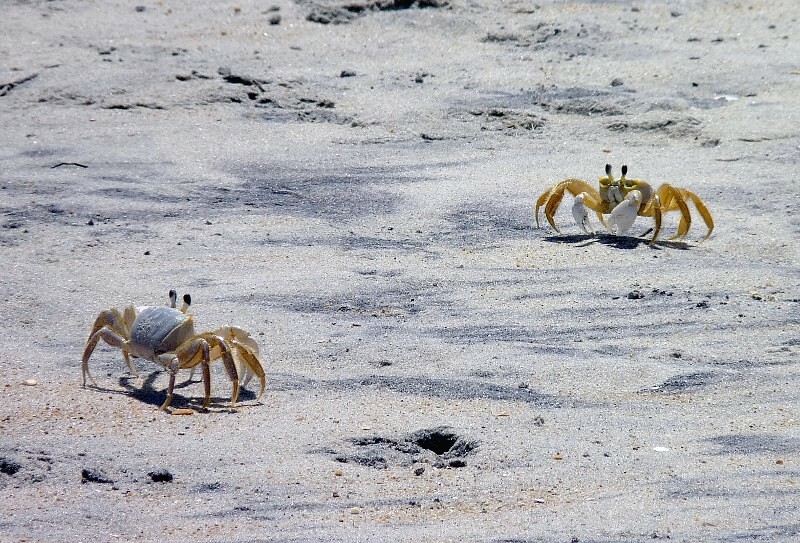 The few times I was near the ocean I greatly enjoyed watching the crabs. Where's Sponge Bob to save the day?!? Nice capture. Which of the two crabs survived at the end of the battle? Thanks Steve. I enjoy going down to the beach at night with a flashlight to watch them feed at the water edge. Nither one, they went in a pot for dinner. Nice shooting, you have a good eye for out of the ordinary subjects. I'm hearing the theme from "the Good, the Bad, and the Ugly"! !